Medium, Inside Diameter is 1"
Range 1" - 1 1/4"
Large, Inside Diameter is 1.5"
Range 1 1/2" - 2"
Our Rubber Rod Holders have found many uses beyond the fishing industry. For example, the Police Departments are using them to secure their shotguns in vehicles, we have a Military Contract, Swimming Pool Stores, Kitchen Cabinet Makers, the Film Industry, the Medical Industry and thousand more uses. 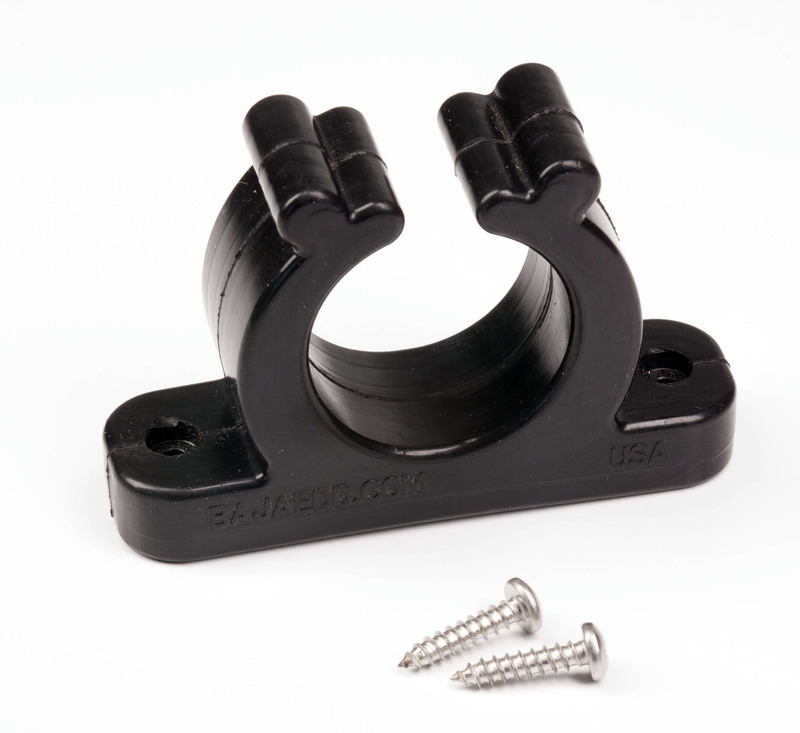 Attractive plastic clips are here to solve your holding needs with style. Ideal for storing boat hooks, gaffs, mops, flashlights, pumps tools and a variety of accessories. 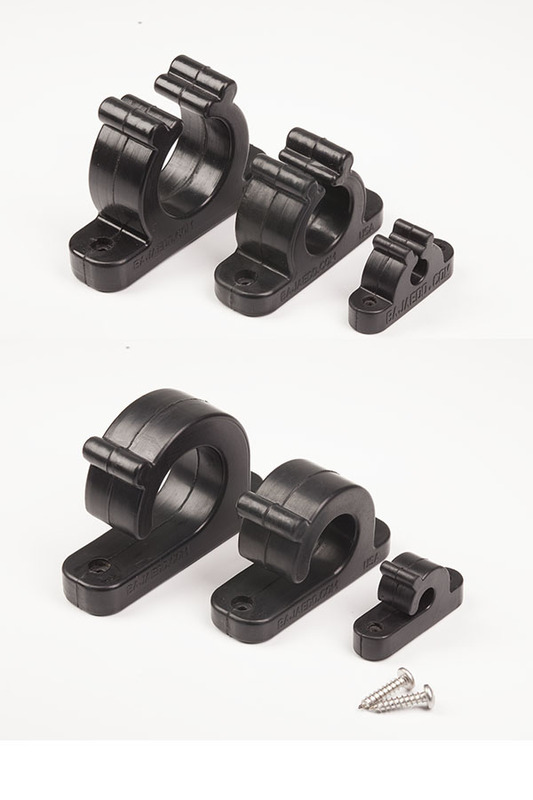 These clips are non-conductive, non-magnetic and non-corrosive making them perfect for indoor or outdoor use. The safety design reduces the potential hazard for injury present with pointed or sharp edged metal clips. Discover hundreds of uses to organize tools, materials, accessories and parts onto your equipment. Available in Black or White. We use 1/8inch holes on 3/4inch center for all sizes. 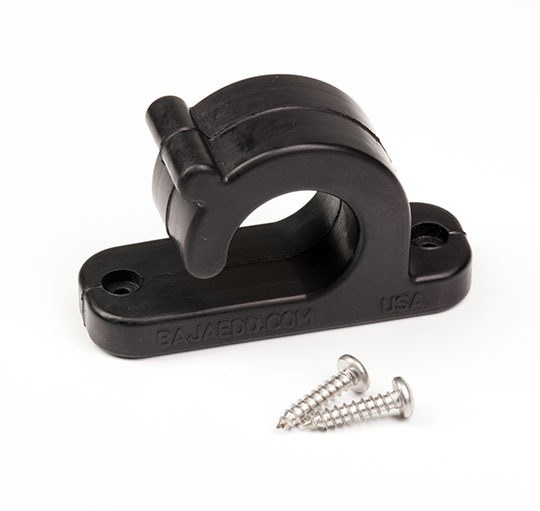 Let our molded clips work over-time for you with this new quality look. 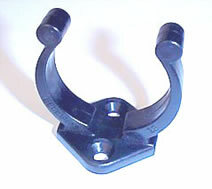 CLP clips require a #6 flat head fastener. We use these on the tip rack of our Rod Racks.